Greetings, phone fans. 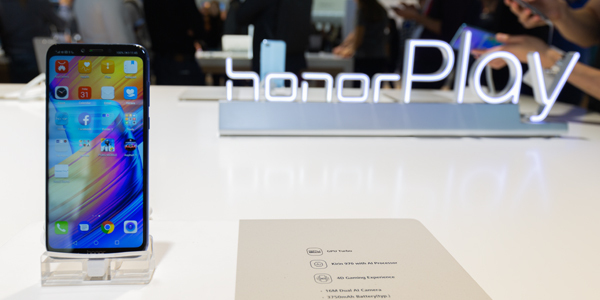 This week we’re in Berlin for IFA 2018, where Honor has officially launched the Honor Play in Europe. It’s a behemoth of a phone, with a monster 6.3-inch screen, and special tricks to make your favourite mobiles games feel better to play. The Honor Play is (you guessed it) a phone for playing games. That’s not all it can do, but it’s just one of the things Honor talked up throughout the launch presentation. And you can’t have a gaming phone without it having a big screen to play games on. 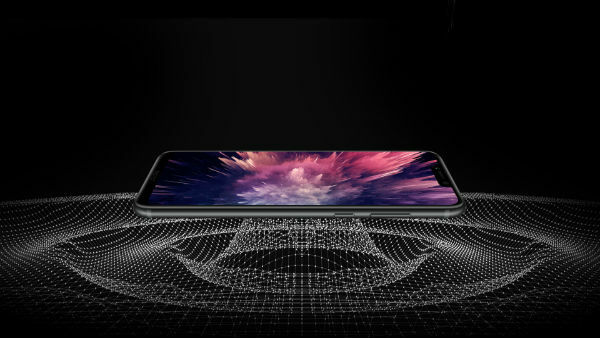 That’s where the huge 6.3-inch Full HD+ (2340 x 1080p) screen comes in – it’s the largest on any Honor phone to date. By comparison, the recently launched Honor 10 had a 5.8-inch display, so you get way more screen for your English pound. And yes, it will be coming to the UK. Back to those screen stats, it has a bigger body to screen ratio for a better view of the action, and a notch that can be hidden, so it doesn’t distract you from playing. The screen can also display up to 16 million colours – which is more than enough to do your games of Fortnite Mobile justice. 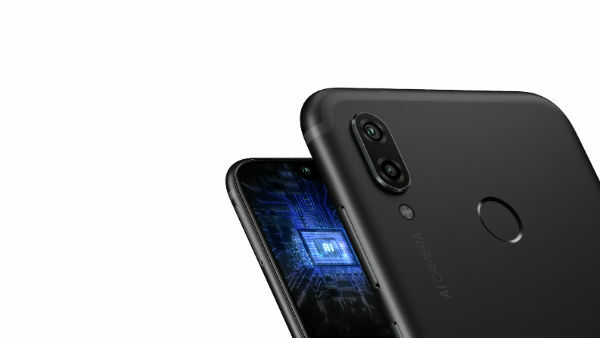 There’s plenty of power lurking inside the Honor Play. Most of it comes from the Kirin 970 octa-core processor. In other words, you can expect performance to be very nippy. The Play also has something called GPU Turbo, which Honor says gives the graphics a nice boost, and a stable framerate. So, gameplay won’t feel slow or jerky like it can on other phones. Storage-wise, we’re talking 64GB of built-in space, which you can upgrade to 256GB with a microSD memory card. That’s more than a fair chunk of room for games, movies, and photos. Games will vibrate as you play them, thanks to Honor’s 4D gameplay tool. The company says it will feel like you’re playing games on a console. 3D sound technology will add a little more oomph to gameplay, by adding extra sound effects that you’ll be able to hear while playing with a headset. The 16MP & 2MP rear dual-camera is up there with the very best. Just like the Huawei P20 Pro, and the Honor 10, built-in AI knows what you’re shooting, and adjusts the settings for the best possible photo. The AI can identify 22 different categories, and up to 500 scenarios in real-time. In other words, you don’t have to be a professional photographer to get pro-looking shots. A 16MP front camera also promises excellent selfies. Like most new phones now, it too has a portrait mode, with lighting effects galore to help you bring out your best side. It too is powered by AI, so you can see how different lighting effects touch up your face in real-time, for studio-quality portraits. The camera also supports face unlocking, so you won’t need to remember passwords or swipe patterns to access your phone. And that’s the Honor Play – a mighty smartphone with a super-large screen, and powerful processors for fast performance. It’s basically the perfect phone for games and movies. Photographers won’t be disappointed either. But what do you think? Let us know in the comments below. GPU Turbo: next big thing in mobile gaming?